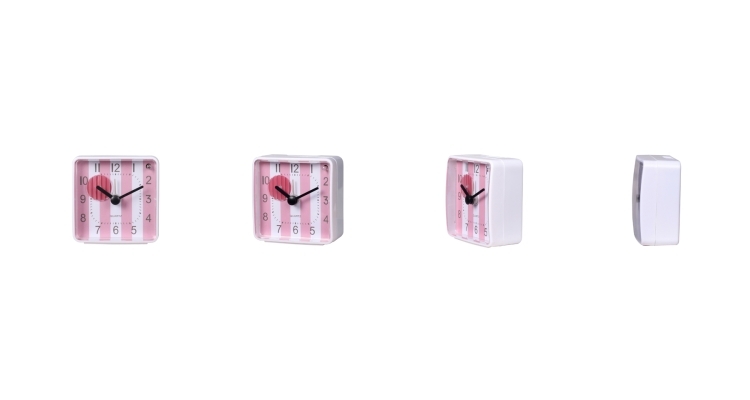 Colorful candy stripes make everything twice as nice! 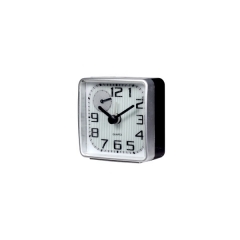 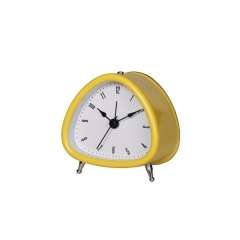 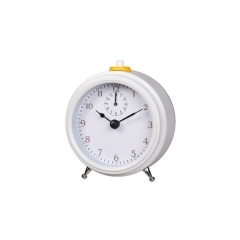 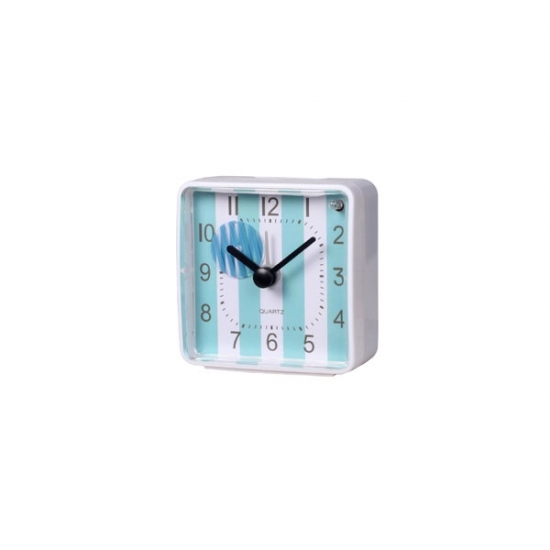 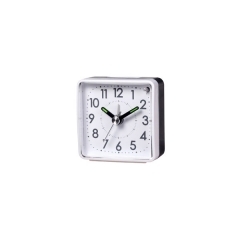 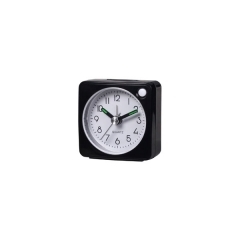 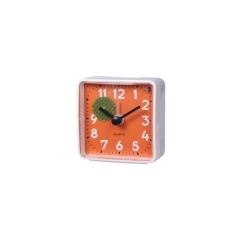 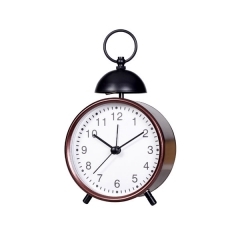 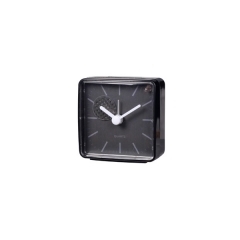 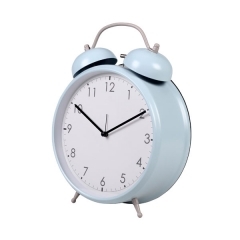 Perfect for homes and offices, the small decorative clock can be placed on a desk, nightstand or shelf. 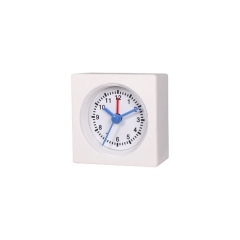 Square shape design, with 2.2 inches, Small size, but it doesn't affect its function. 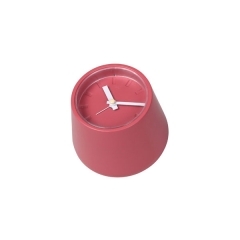 It's beautiful and practical. 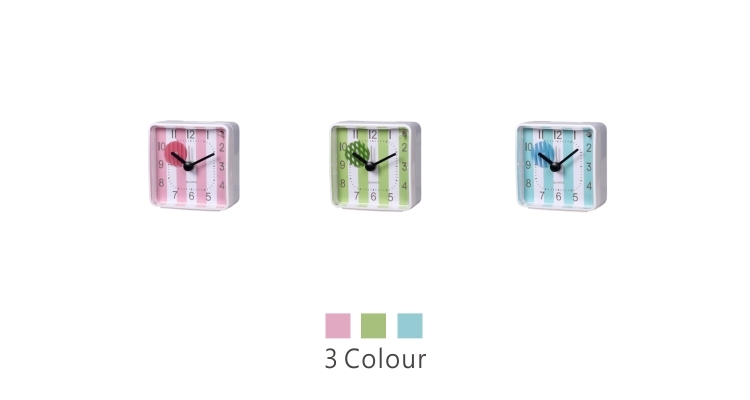 Sweet candy color with pink, green and blue, start the day with a romantic time. 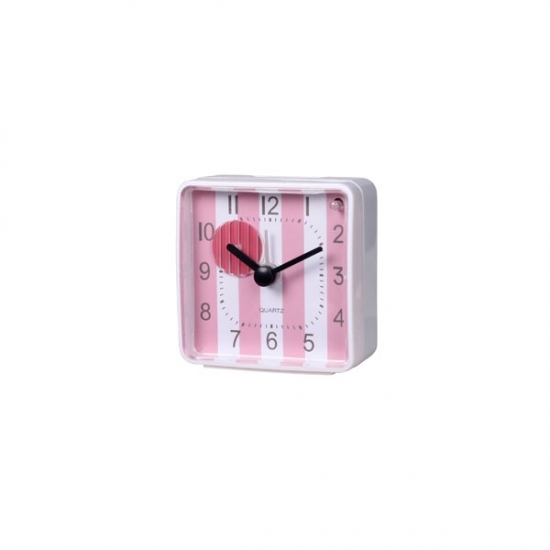 Beat the morning blues with an alarm clock that full of charisma through and through! 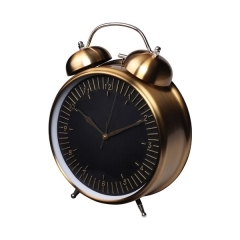 Made from metal, this bedside one bell alarm clock is strong, sturdy and suited to use year after year.